A Day On The Green (ADOTG) is a concert event that typically features one main artist and a collection of supporting acts. For this reason, ADOTG spans over a number of dates and venues across Australia. The event is held in some of Australia’s most picturesque wineries and natural surrounds, which is perfect for the summer. Falls Festival has well and truly etched its name into the Australian music scene, with the upcoming festival marking its 26th year running. Many of the Falls locations are set close to the beach – a perfect setting for great music, fun with friends, and warm summer nights. Can’t commit to a three-day festival? Then a single-day music festival is an option for you. One Electric Day is just one of the incredible single-day events happening this year, on Sunday November 25th at the Werribee Park in Victoria. In fact, it is such a popular festival that tickets have all been sold out. If you haven’t managed to snag a ticket in time, don’t stress: you can still buy resale tickets. Set in Victoria’s own Lardner Park for five days, Beyond The Valley is certainly the longest festival on this list. It is for this reason that – like Falls – the venue opens its doors to a number of campers, who can stay onsite in tents or tipis for the length of the festival. Say hello to the new year in the best way possible with the Red Hot Summer tour, which runs from January to February 2019. Red Hot Summer is going to be happening in locations across South Australia, Western Australia, Victoria, Tasmania, New South Wales and Queensland. With this lineup, it’s not hard to see why some locations have already sold out. Make sure you book your tickets soon! 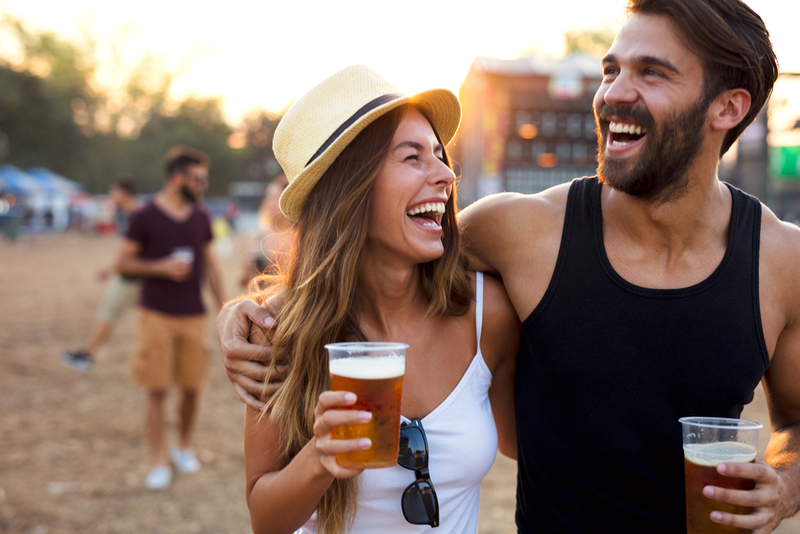 After you’ve filled up your summer itinerary with these incredible music festivals, don’t forget to be proactive and organise your festival transport. A great way to get to any festival is to book bus hire to and from the venue. Doing so takes the stress out of festival transport; you don’t have to worry about catching a train or driving in extremely busy conditions. Melbourne On The Move offers bus hire from Melbourne to a number of these fantastic summer festivals happening in Victoria, including One Electric Day, Red Hot Summer, and A Day On The Green. We’re currently covering a range of dates for these festivals so make sure you get in quick to get a seat on one of our buses. To find out more about our bus hire from Melbourne, get in touch on 1300 55 86 86 today, or fill out the enquiry form here.